Do CFTC and NFA Recognize Your Forex or Stock Broker ? During recent time, the number of ads regarding forex brokers has increased to a great extent than the ads of stock brokers and the future brokers. Finding a forex broker with the best commissions, lowest spreads, best margins, and trading platforms is the primary concern of most of the forex traders. In this regard, you must check whether the broker you selected is registered and regulated by the USA regulators or not. The question is How? Today there are lots of firma claim to be forex broker without being regulated by the CFTS. The CFTC (U.S. Commodity Futures Trading Commission) and the NFA (National Futures Association) are the two regulatory organizations in the US that regulates the forex trading under the government according to the laws. Having a Retail Foreign Exchange Dealers (RFED) registration is a must for being recognized by the CFTC and NFA as true a forex broker. Without having a RFED registration, no firm is permitted to buy foreign currency (forex) contracts from anyone or sell foreign currency contracts to anyone. The broker firms mainly does the business of buying and selling forex contracts with you.so there is a possibility of cheating you by giving you the already soled contracts. The CFTC mainly stands for preventing such types cheating and giving you the security of trading. There are some certain rules and regulations like minimum capital requirements, detail trade and account records, and compliance made by the CFS that a RFED registered brokers should follow mandatorily. On the other hand, if any broker wants to receive forex trade orders from the investors, registering in the RFED is a must. There is another type of broker known as the introducer broker (IB). They just permit you to trade forex as their client. These brokers are mainly concentrated on the assets like a primarily stock broker. This type of brokers needs not to be registered with the RFED to perform their activities. There is an interesting blog that explores the brokers for their registration and provide brokers’ registration status with RFED. How to Check Your Broker’s Registration? The features and registration information are such things that are open to all as they are basically the weapon for attracting clients. B.A.S.I.C, a particular searchable database provided by the NFA gives all the information about their registered broker firms. Checking the background information is a must as no one wants to be victim of cheating after giving money for forex trade. Check your forex broker at BASIC database. It is a common established fact that forex traders experience failure quite often. As a matter of fact in 96% cases forex traders incur severe loss and ultimately quit trading. But so that you can remain within the lucky 4% groups of gaining traders, I have successfully accumulated most of the possible responsible reasons behind the loss. Most of the traders are looking forward for making easy profits or to get a way out from their debts. In the Forex markets, it is a common trend for encouraging traders in large sizes of lots for receiving large returns on the basis of small invested capitals. Invest certain amount of money to get a reasonable amount back in your accounts. Within a short period of time you can earn large profits as you invest small amount of money. Then on the basis of this small range capital and maximized limit of risk you will be find yourself coordinating with the prevailing market trends. The new traders must trade with moderate amount as they join the forex trading platform. It is quite difficult for those who are willing to begin trade with extreme small amount of budget. Even if you are still eager to start up with small amount you must invest $1000. Otherwise you must be prepared to face the disastrous consequence. Prime secret to survive in this field happens to be the efficient management of risks. Even with your handful of trading experiences you can be removed from the markets in single chance with improper risk management. Your prime motive is to save the amount from incurring loss rather than gaining profits. As soon as your capital is reduced, your chances of profits are also minimized. Employ stops as you move the stops after gaining a reasonable amount of profit. You must use reasonable lot sizes that coordinate with the capital present in your accounts. If you are not making any sense from your trade transactions then stay away from the trading. Certain traders adopt an idea that they have to utilize every single pip allotted for them in the trade account. Every day you can make money in the markets of Forex operations. So if you try to make profit from every pip then you are going to lose your foothold in the market very soon. Don’t be greedy. Though probable possibilities can make you carve for more. Trade with reasonable profit amount but you have lots of more pips to go. Everyday currencies move around so you need not have to grab the last available pip. Wait for the immediate available opportunity. You may confront with extreme trade situations. This happens when the trade option opted by you don’t begin on a profitable note. You keep on lamenting on the fact that you have taken a wrong decision. Then it is high time for you to close your trade immediately and begin it on reverse note. This you have to do to check the fact whether the market operations are going in the directions initially chosen by you. Try to stick to the decision taken by you. Shuffling between the decisions may result you to lose the last bit of the capital as present in your account. New traders attempt to gather turning points in pairs of currencies. On a certain pair they will trade on and will keep on adding further amounts to it even if it goes in the wrong way thinking that they will surely gain desirable profit in the next turn. If this is the trading policy adopted by you then let me inform you will operating a negatively balanced trade account with lots of expenditure. Trade in a trendy manner. Picking up one from 10 attempts is not a right decision. If you are really eager to bring about changes in the trend of trade then wait and follow the latest changes in the trading style. Certain trades even after much estimation don’t go right. As per the normal tendency of human nature we always want to stay right. But sometimes we fail to take right decisions. Similarly as a trader at certain time you need to go wrong. In the attempt to stay right all the time you may come up with a fused account. It is really a difficult task for an individual to admit the mistake committed by them. But there are certain points when you need to admit the mistakes. It can be possible that you enter trading scenario with a wrong approach or it can also be your decision going wrong compared to what you have expected. Both the ways, the best available option is realize your mistake and wait for the new opportunity as you dump the previous one. Lots of forex trading systems are available on sale in the internet platform.there are a lot of mt4 EA forex systems. Few traders are looking forward for coming up with fully accurate trade system. These traders buy the various available online trade supports with a faith of winning. But they give up ultimately as they understand that there are lesser chances of their winning. You have to realize the fact that there is no free launch. If you have to win here you need to work like any other option. 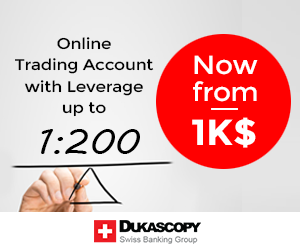 Create your own trade system following the convenient market trend. Stop purchasing worthless online systems.